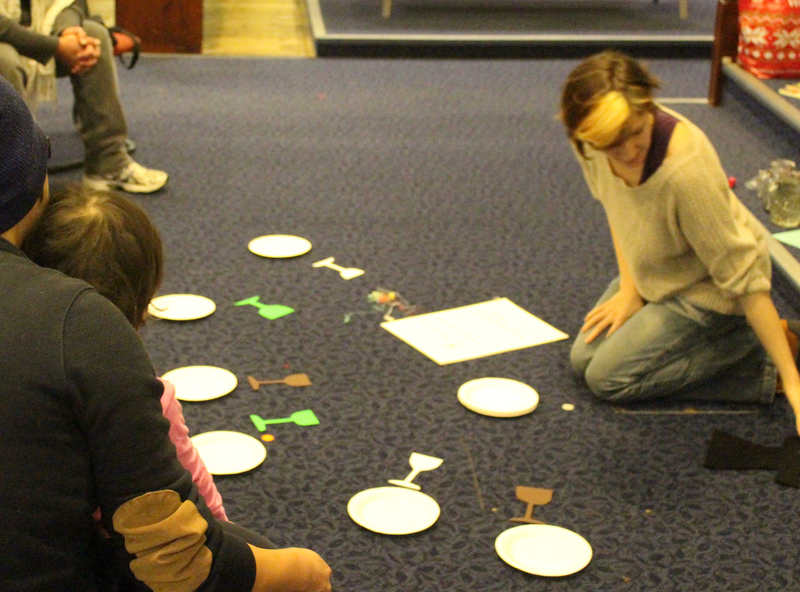 We love to deliver free sessions of the Open Praise Project. 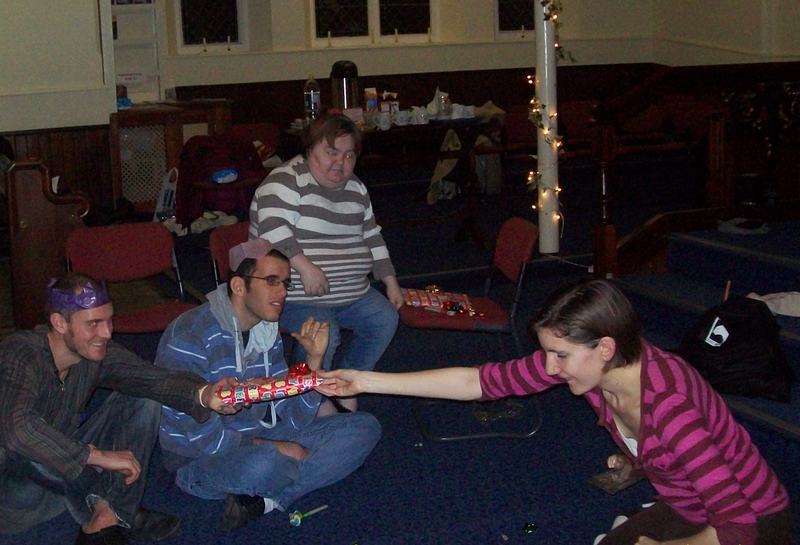 In 2010 we started running a weekly group at Holland Road Baptist Church, Brighton. This was a group aimed at people with learning disabilities but open to anyone who wanted to worship in a different way. See our article to read more about our vision. 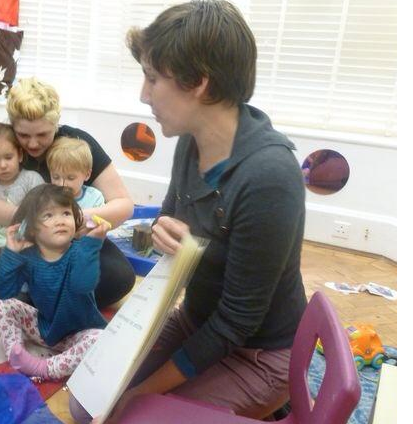 Since then we have delivered a monthly group at Holland Road Baptist Church and delivered other sessions at a local nursery and a toddler group. Katie handing Malcolm a birthday present with Mark and Anna sitting behind. The Bible stories all have additional sensory and interactive parts, usually things that can be touched, seen or heard. This is a key part of our sessions, and we aim to make them as accessible to all attending as possible. A bottle of bubbles and sparklers are never far away! We are currently taking a break from the Holland Road Baptist Church sessions,(returning 2014) but are always available to deliver sessions at different locations. If you are part of a church, day centre or residential setting which you think would enjoy one of our sessions, please contact us. We are delighted to deliver our interactive sessions for free. 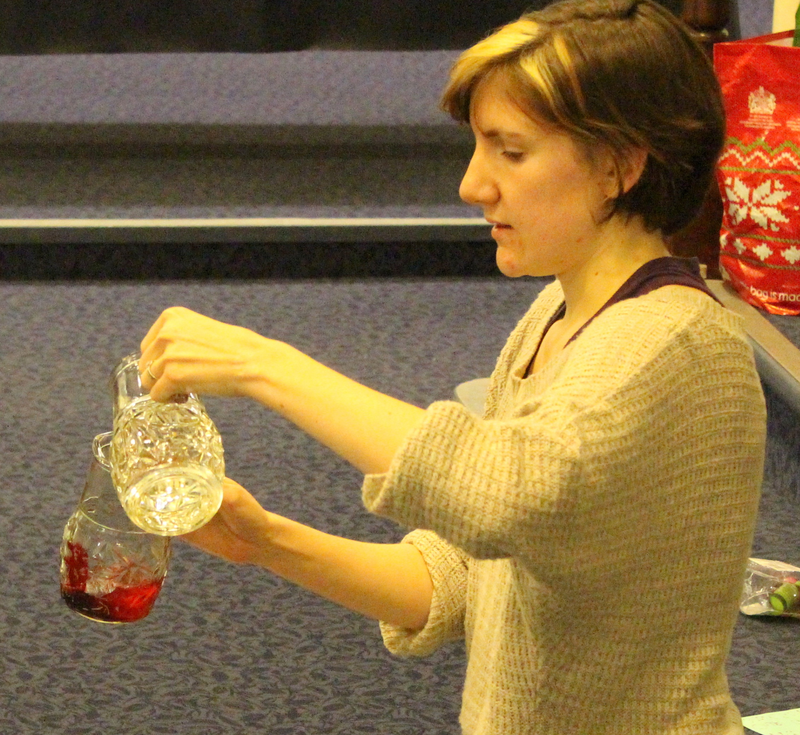 Katie pouring a jug of water into wine!